How do educators use puzzles as an assessment tool in the classroom? 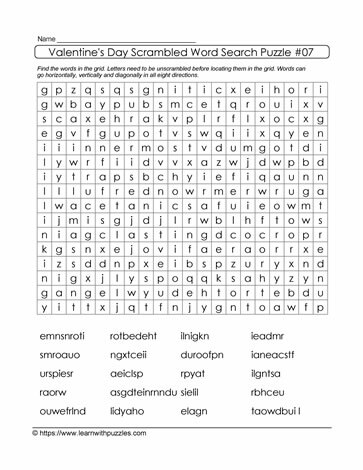 One way to assess student learning is to give them a word search puzzle with theme related words hidden in the grid. This Valentine's Day word search puzzle has a list of clues, but the letters in each word are scrambled. In order to solve the puzzle, students need to unjumble the letters thereby revealing the identify the words. As an assessment tool, Educators can discover learning gaps in students. One learning gap might be letter pattern recognition of common Valentine's Day words. This gap can be determined by students' challenge with unscrambling the letters in a word.